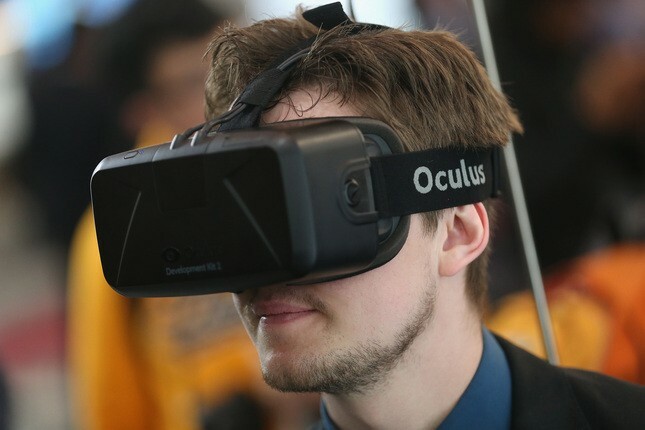 Virtual reality is the buzzword many people latch onto. It’s no surprise. For years, virtual reality played first string, and its cousin augmented reality waited for its time to shine. VR has always been flashier; it’s a mind-blowing experience that sums up what many of us thought about the future back when we were kids. Now, we live in a world where there’s a living, breathing virtual reality market—and it’s huge. With major players in tech vying for top places in VR development and newcomers making a splash, we’re not only witnessing the growth of VR but of augmented reality. By 2021, mobile augmented reality could become the mainstay of the market and make up $83 billion of the anticipated $108 billion market. There’s no discussion of virtual reality without augmented reality. That’s why we’ve put together a diverse list of top VR companies to watch that includes developers, engineers, and hardware manufacturers. Scroll down for our full list. The idea that the future is in VR alone is now mostly disproved. Companies that will make the most contributions are those that will find ways to excel in virtual reality and augmented reality. We chose our favorite companies not by their revenue or funding but by the way their projects pushed the boundaries of both the quality of VR and AR while remaining accessible to the public. After all, without the adoption of these new technologies by the public, there is no VR industry. Our list includes heavy hitters in tech as well as VR dedicated startups to provide an inclusive look at how this industry is growing and changing. Our list of VR companies to watch is by no means inclusive, but it does feature a wide range of applications, hardware, and software. Each of these aspects of VR will play a role in the future, so it’s worth keeping an eye on all angles if you want to keep up. Microsoft is one of the 500-pound gorillas in technology, but the company tops our list because of its HoloLens product. 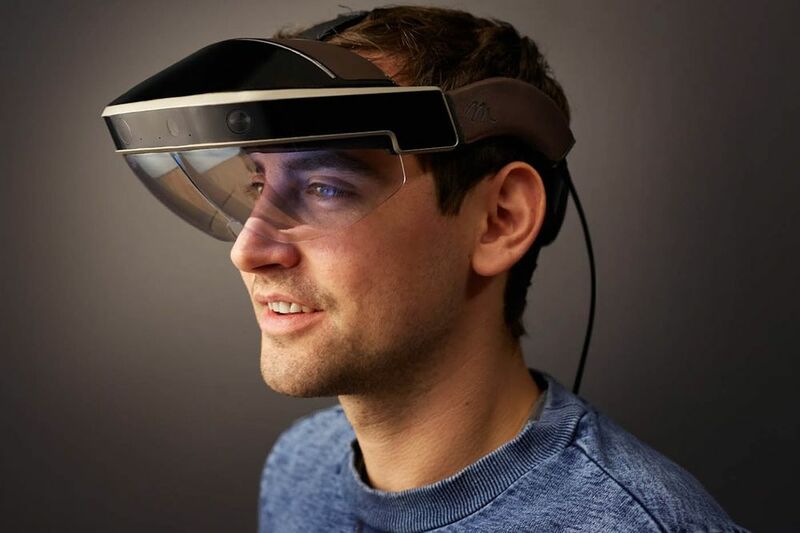 The Microsoft HoloLens is a mixed reality product that marries the real world with the virtual world. It is also remarkable: it’s the world’s first self-contained holographic computer. 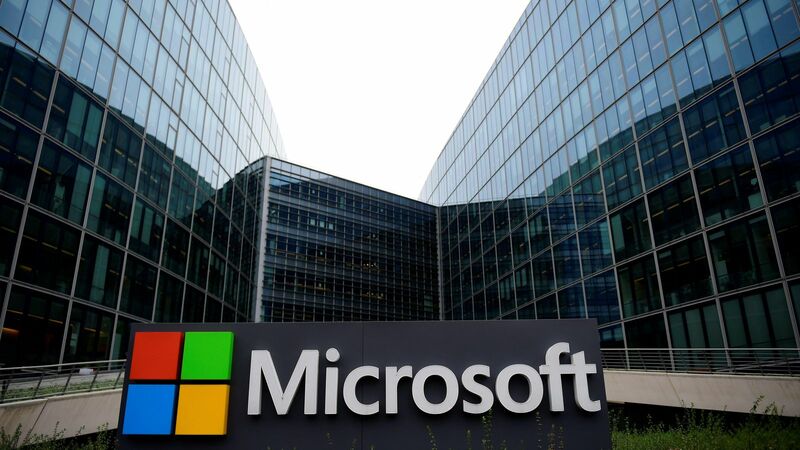 Microsoft’s work alone is impressive, but it’s the way the team collaborates with other organizations to make the product flourish that matter most. A collaboration between Stanford Medical Center and the HoloLens team has produced a system that helps surgeons solve real-time alignment problems during breast cancer surgery. The combination of HoloLens and Stanford University’s Bio-X allows surgeons to have “X-Ray vision” to more accurately remove a tumor. Dream Reality Interactive is a London-based studio founded by a pair of developers dreaming of escaping their own corporate environment. DRI loves adding immersion to both experiences and games. One of its biggest projects was the Hold the World program created in partnership with The Natural History Museum, Sky, and Factory 42. Together, they opened up the famous Natural History Museum in the heart of Central London to anyone with VR gear. Together, they opened up the famous Natural History Museum in the heart of Central London to anyone with VR gear. The ultimate highlight is an audience with, the world’s preeminent natural history broadcaster: Sir David Attenborough. You might recognize him as the narrator of the BBC epic Planet Earth, and Britain’s national treasure. The company is currently putting the finishing touches on its “unique indie VR experience” Arca’s Path, a VR game for PlayStation VR, Oculus, and Steam VR. Zappar is a Scottish startup founded back in 2011. Its focus on mixed reality sets it apart from those companies dedicated to fully immersive experiences. Anyone can download the Zappar app to their phone to expand their world. Once installed, it uses the camera to explore any object with a Zapcode on it. Until now, it’s primarily remained an experiential and virtual marketing tool. Cocoa-Coal and the Manchester City Premier League football team are both Zappar clients. Why are they one to watch? Zappar’s biggest funding source was a Kickstarter campaign that raised $84,356. In February 2017, the company received $3,7500,000 in funding from Hargreave Hale. Three investors pooled their money through Hargreave Heale: the biggest one was Kindred Futures. Together Kindred Futures and Zappar are working on a program to add mixed reality to the world of gambling. With a huge cash injection and new friends in high places, Zappar is now one to watch. BIVROST focuses on the gear as much as the experience. For BIVROST, the gear serves as a bridge to the experience. The word bivrost is used in Nordic mythology to refer to a mystic bridge the connects our human world with the otherwise untouchable world occupied by the Nordic gods. It provides a full line of tools for production including camera rigs, stitching software, power and control management utilities, and video players. WeAR Studio focuses on the development of experiences for mobile platforms, headsets, and glasses. 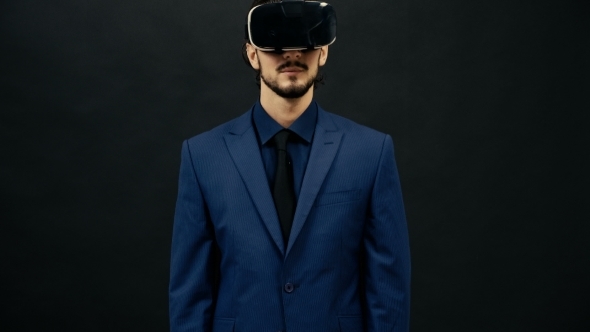 Unlike other companies that worry about virtual reality exclusively, WeAR works through the full cycle development of augmented reality and mix reality, too. It recognizes that virtual reality won’t filter into every aspect of our lives, but the combination of VR, AR, and MR could. Even if you very little about VR, you’ve probably heard of Oculus. It’s the darling of gamers and tech enthusiasts alike, and it remains the gold standard in virtual reality gear and design. Oculus is the creator of the Oculus Rift. It’s both a standalone headset and a tethered device with one of the biggest content libraries around. 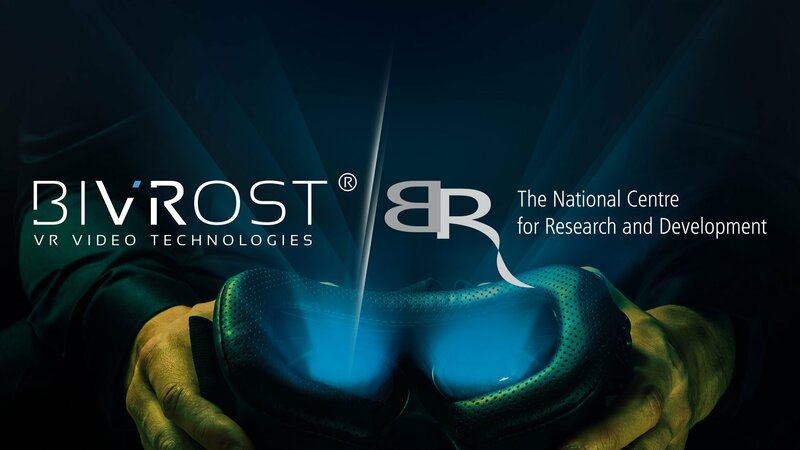 It’s one to watch not just because it is a pioneer in VR but because of its parent company. Facebook purchased Oculus back in 2014, and since then Oculus has exploded as both a device and content creator. Being in the Facebook family means that the company isn’t short on cash and can afford to take risks. Plus, it’s content is available across multiple platforms, making it a developer darling. If Oculus leverages its current position, it could remain the leader in VR and take the category to new heights. NVIDIA doesn’t make devices or software. Rather, it hangs out behind the scenes to play a much more crucial role. 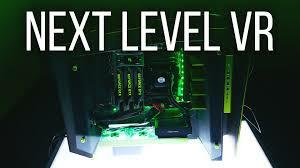 NVIDIA creates chips that make virtual and augmented reality possible in the first place. These chips are the new standard for both headsets and other devices, and the development of the hardware will directly impact the future arc of innovation across the industry as a whole. Virtual reality is made up of many components. It relies on amazing graphics, hyper-fast processing speeds, high-end consoles, haptic technology, and the underlying software. Here’s what you need to know about the basics of virtual reality and its kin, so you know what to look for in an up-and-coming VR company. It’ll also give you a handle on why these businesses are worth watching. Today, there are four experiences that fall under the virtual reality umbrella. Virtual reality transports you to a world created by design companies. Companies tried to make the experience so immersive that the user forgets about the “real” world. VR comes in several forms including computer-generated graphics and live video. Today, most designers deploy VR through head-mounted displays (HMDs) better known as headsets. These headsets fit completely around the users’ head to block any visual sense of the real world from entering the user’s line of sight. The headset creates a complete blackout until the experience is switched on. There are two types of VR: interactive and non-interactive VR. Interactive VR allows you to engage with your new reality. You’ll be able to look around, move, and even push, pull, hold and throw. Non-interactive VR keeps users in the role of spectator. The experience remains fully immersive, so users still feel involved in the storyline, but their actions don’t impact the story. 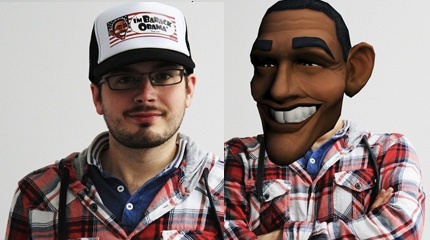 Augmented reality is a new take on your real-world view of the world. An easier way to describe the scene is ‘supplemented reality’. You’re looking at the physical world, but some added input adds a layer of information to the experience. The real world can’t respond to the content, and the content can’t respond to the real world. But you can combine the two to change your experience of the real world. Mixed reality is a hybrid of VR and the real world that produces a new experience. It adds generated content to physical object or space that you can interact with. For example, surgeons now have a tool that allows them to digitally overlay an ultrasound image over a patient while they’re in the operating room. In the real world, mixed reality is less common the virtual reality and augmented reality. In many cases, the quest for mixed reality was put aside in favor of augmented reality because it’s easier to achieve. 360-degree videos are video recordings that capture every single orientation of space at the same time. It’s an immersive experience that falls within the realm of virtual reality, but it’s a real-world type of virtual reality. VR purists quibble about where 360-degree video falls within the spectrum. Some say that it’s as immersive as VR. Others say that because there’s less interaction, it should stay in its own lane. The average person associates virtual reality and similar technologies almost exclusively with video games. Applications for virtual reality, however, are wide-sweeping and challenge and extend experiences in many places. The degrees of freedom used in the VR build add layers to the already visually immersive experience. Degrees of freedom refers to your ability to move in multiple directions inside of your new reality. Because you’re working in a three-dimensional experience, your movement can be more dynamic. The most common types of freedom are three and six degrees of freedom. Cheaper devices offer you the option to move up/down, left/right, and forward/back, but you can’t interact any further than this. Six degrees of freedom represent the gold standard of virtual reality. Some manufacturers say their device offers nine degrees of freedom or 9DOF. Is their claim true? Aren’t there only six degrees of freedom in the first place? Because there are only six degrees of freedom, 9DOF is a misnomer because it doesn’t refer to an additional three degrees of freedom in real life. Manufacturers get the number from adding up the sensors within the Inertial Measurement Unit (IMU) included in the device. Engineers designed IMUs for aircraft; their present usage reflects their origins. The device tracks orientation, velocity, and gravity using sensors. If a headset includes an IMU that tracks those additional three measurements, then some crafty companies call their devices 9 DOF even though those new ‘degrees of freedom’ only track orientation rather than addition new movement planes. 9DOF may be a misnomer, but it offers the potential for better quality and a more immersive experience than 6DOF. The sensor data improves the final experience even if it doesn’t detect translations. Virtual reality requires a harmonious marriage between software and hardware: both must be powerful enough to support the other. The companies we’ve listed above all play a role in the future direction of VR and AR. Whether they push boundaries and enter new markets or serve as the foundation of tech as a whole, these companies are ones to watch. What do you think? 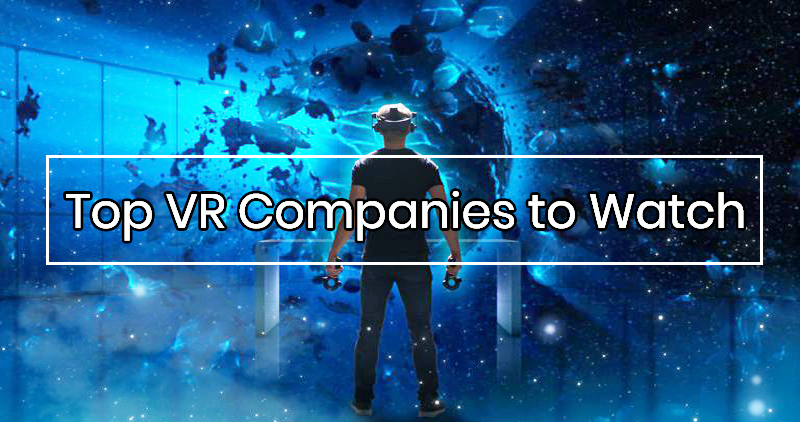 Are these the top VR companies to watch? Are you rooting for the tech giants or the underdogs? Sound off in the comments below.